Located in a charming location at 646 Michigan Street in Victoria’s James Bay, the Duet’s two modern buildings have been thoughtfully designed to fit perfectly into this unique neighbourhood. The Duet consists of dual buildings which share a lovely semi-private central courtyard. Adorned with beautiful Akebono cherry trees and a small children’s play area, it is the perfect place to connect with friends and residents of the community. On the 9th floor is a rooftop garden patio with a covered outdoor BBQ kitchen and incredible views for all to enjoy. 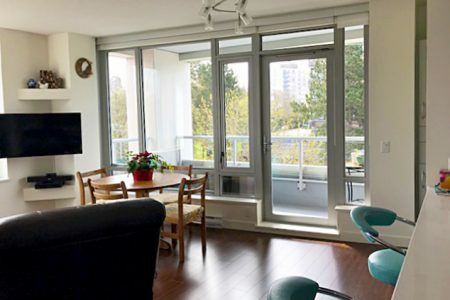 The Duet is perfectly positioned between city and nature, with Beacon Hill Park just outside your door and the downtown’s offices, restaurants, shops and services just a short stroll or cycle away. Even more to explore are the James Bay & Cook Street Villages, the Inner Harbour, Dallas Road waterfront, and the walking and running trails that surround you.